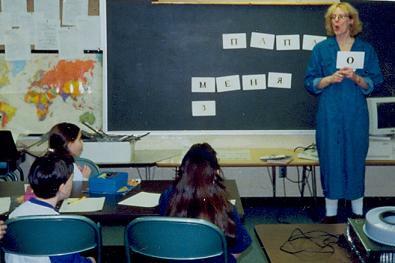 Our faculty, staff, graduate students, and language clubs frequently coordinate with local schools and other organizations to sponsor activities and share our excitement about Slavic culture and languages. For instance, to support the teaching of Russian in the state, the Center and Department co-sponsor an annual Russian Language Olympiada, in which our faculty and graduate students serve as judges for high school and undergraduate students in the competition. Also, during the Halloween season, Dr. Daniel Collins' presentation on the cultural origins of vampires is always in high demand. Many of our department's outreach activities are executed in coordination with the Center for Slavic and East European Studies. Please feel free to contact us if you are interested in having us visit your organization!